Air-Tan’s exfoliating mitt quickly became one of my favorite products we offer. I have always had a hard time scrubbing off my tan in time to get sprayed for my next event. The exfoliation mitt has become a life saver. 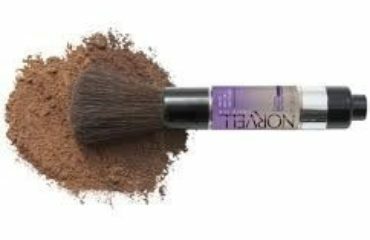 It helps me get my tan off without nearly as much effort and if I add the Air-Tan scrub to it I don’t have to spend hours and hours scrubbing off my tan. I have always been a lazy scrubber so this product is perfect for me. 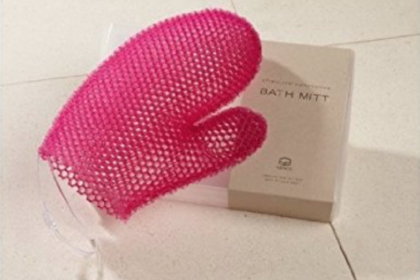 The mitt is rough which helps it work, but be careful the first few times you use it so you don’t end up scrubbing off some of your skin in the process. 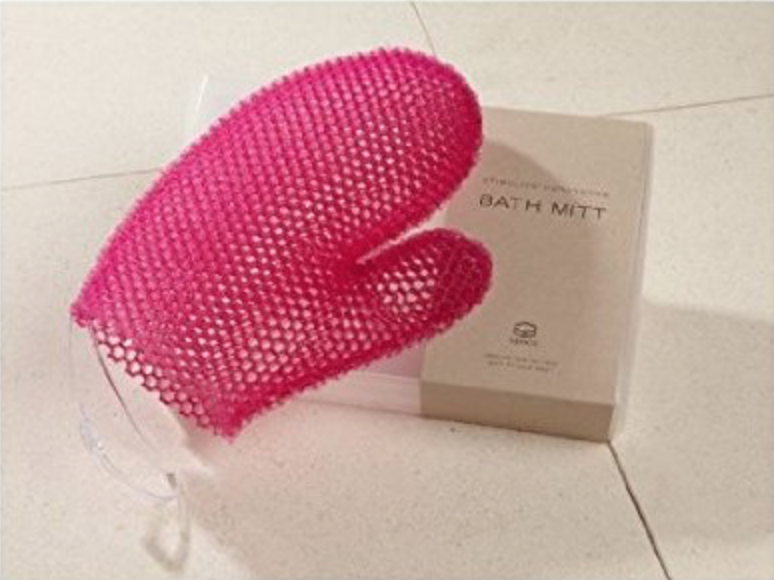 The mitt comes with an awesome loop for you to hang up in your shower and lasts for over a year! How often do you switch out your loofa? I would guess a few times a year at least. I have had mine for six months and it still feels and looks the same as it did when I first used it. I will never go back to a loofa because it makes my skin feel so awesome and it expedites the scrubbing process. If you are an unlimited member or get an Air-Tan often, you need the mitt! Especially if you are using the organic+ and organic solutions. These solutions tend to last longer than our regular solution making it more difficult to scrub off. You always want to make sure your previous tan is off before coming back for another tan. This will ensure that your new tan looks just as great as your first tan. 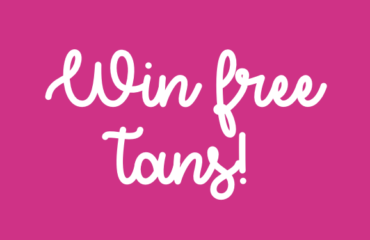 If you start layering on top of old spray tans those areas will start to look funky and become obvious spots when your tan starts coming off. This is also how you can get the orange look that everyone is afraid of. The mitt will help make sure this doesn’t happen to you and ensure that all of your tans look amazing! 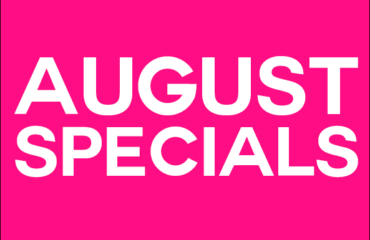 Call or click here to schedule your appointment ASAP.